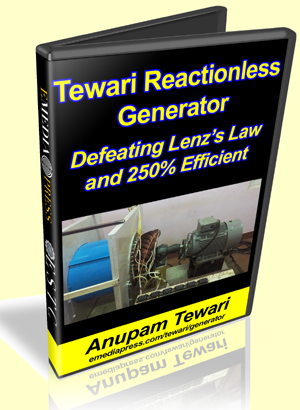 The Tewari generator is a three phase generator that explodes the myth of a self runner, complex for sure, but Tewrai does have a very interesting approach to the method of operation. You will be negligent in ignoring this machine and its very interesting mode of generation. There does appear to be design room for modifying this to DC voltage.